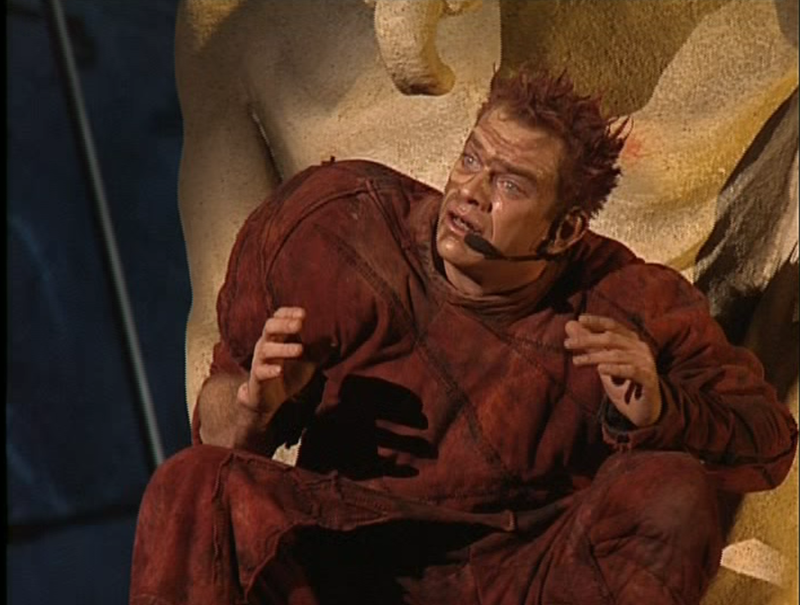 As is seemingly standard in Notre Dame de Paris, Quasimodo’s depiction is one of the best in any adaption of Hunchback, and for the record I’m getting a little tired saying that. 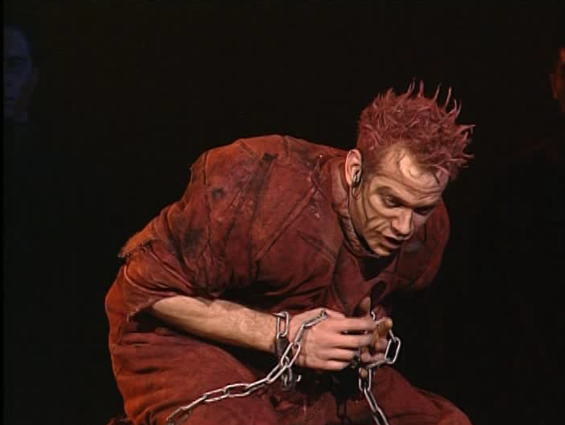 Unlike Frollo and Esmeralda, Quasimodo’s characterization doesn’t differ too much from cast version to cast version. While the role has its complexities and is hard to play the basic tenants of morose, nice and melancholy are not super hard convey, actually isn’t that want actors really want to play? It just make for a likable character. 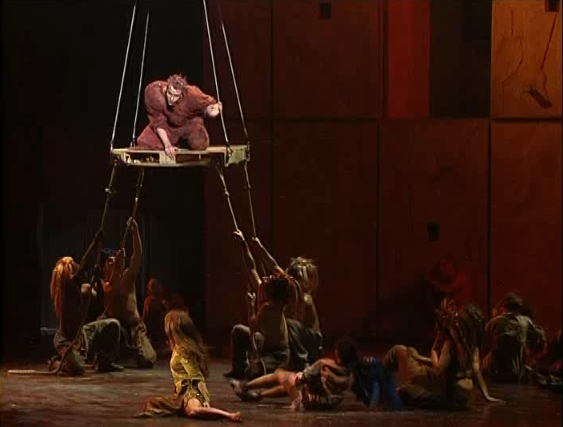 So what is Quasimodo like in this version? Well, like I just said he is nice and morose, like the book as well as tender which I did not say. Many versions tend to make Quasimodo more sympathetic and sad than showcase his anger over people not liking him for his afflictions. In Notre Dame de Paris his anger isn’t really focused on other people, he wants people to like him, mainly Esmeralda. 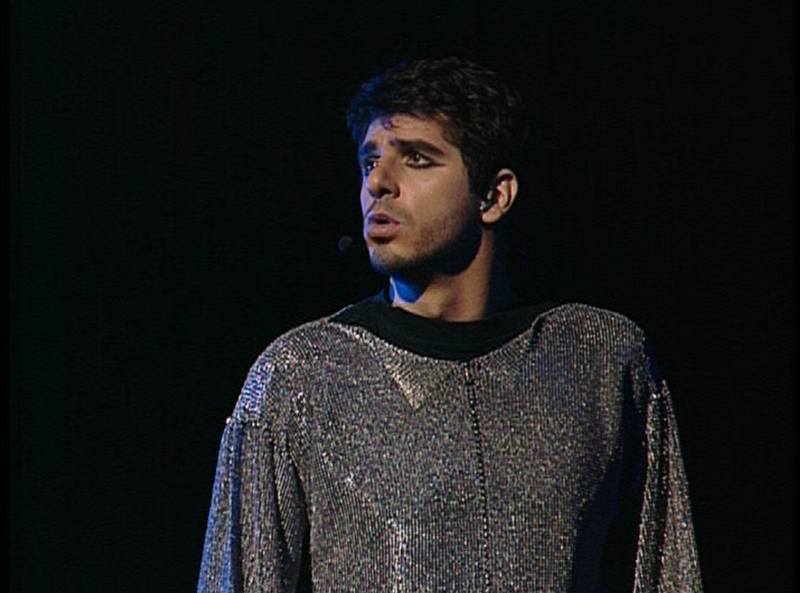 Most of his solo songs express his longing for love and his anger over his deformities. More or less akin to the book, Quasimodo’s love for Esmeralda is more pure but unlike the book it’s a little more romantic. Quasimodo makes mentions to Esmeralda’s body, her dancing and his eyes going under her skirt as if he were possessed. He just seems a little more self-aware than book Quasimodo. He also offers her a place at Notre Dame before she needs it. 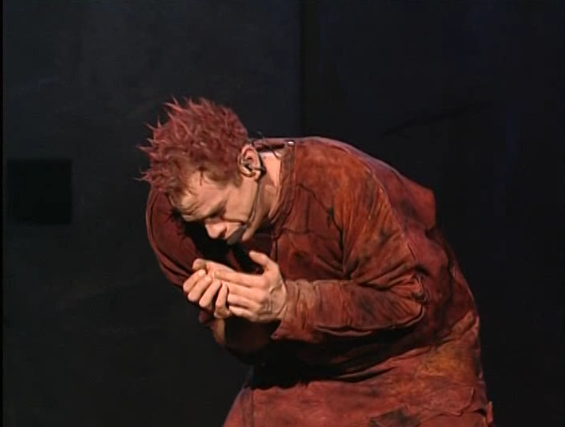 Unlike the book, Quasimodo isn’t as in love with Notre Dame. Oh, he likes it as two of his songs indicate but he is nowhere to be seen in the attack segment of the musical, which I’m never letting go of. Really, he gets one song to say Notre Dame is awesome and one other song about the bells though there is a lot of angst in that song. Another kind of sort big difference is that he was in to Esmeralda prior to her giving him water, so he was attracted to her for her beauty, the kindness was a perk. It’s a big difference as in that book Quasimodo hated everyone for not liking him but here it does want people to like him and is mad more or less at God for making him ugly. Quasimodo in Notre Dame de Paris is the closest to the book. Is it perfect? No but there is so much power and pathos to this Quasimodo that no one would hardly ever think about it, unless you’re a Notre Dame de Paris blogger and then you have to think about it.